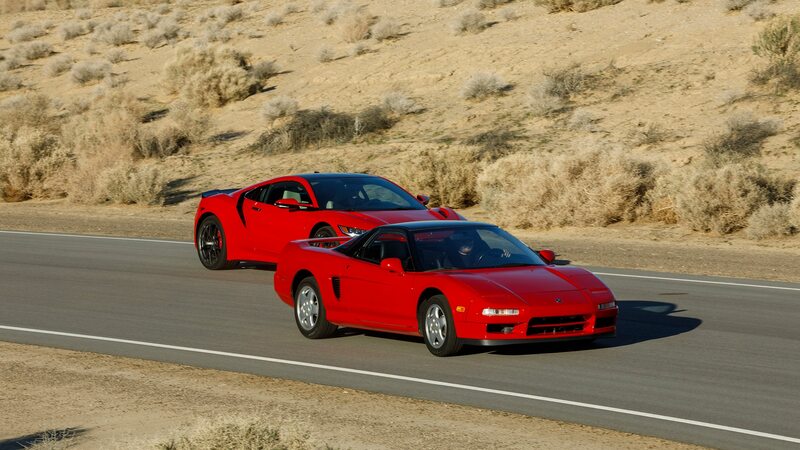 Honda's iconic supercar debuted as a concept three decades ago. 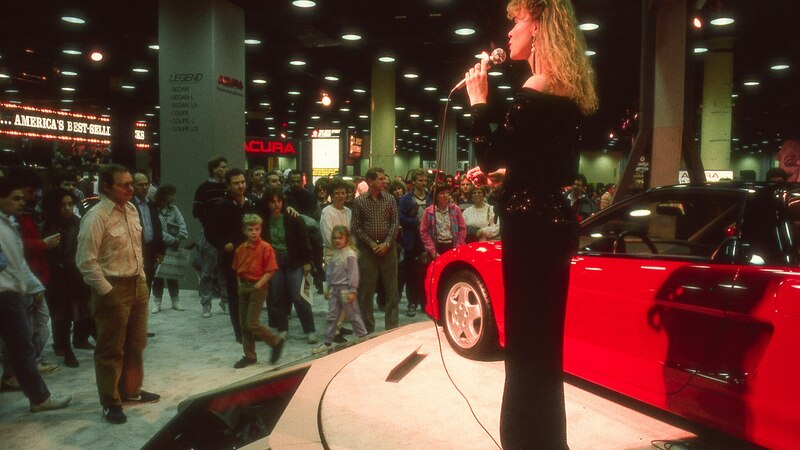 It’s hard to believe 30 years have passed since the debut of the NS-X concept. 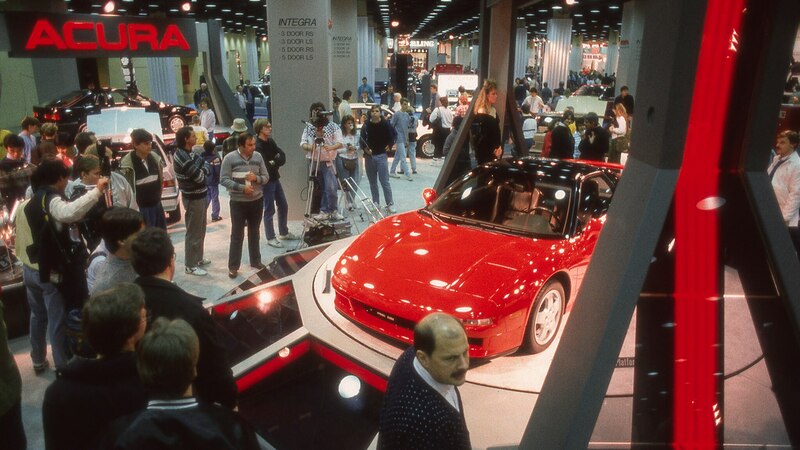 We got our first peek of Japan’s Ferrari-battling sports car in 1989 when the Japanese automaker previewed the low, lithe mid-engined coupe at that year’s Chicago auto show, rolling out the concept to a crowd of international media. 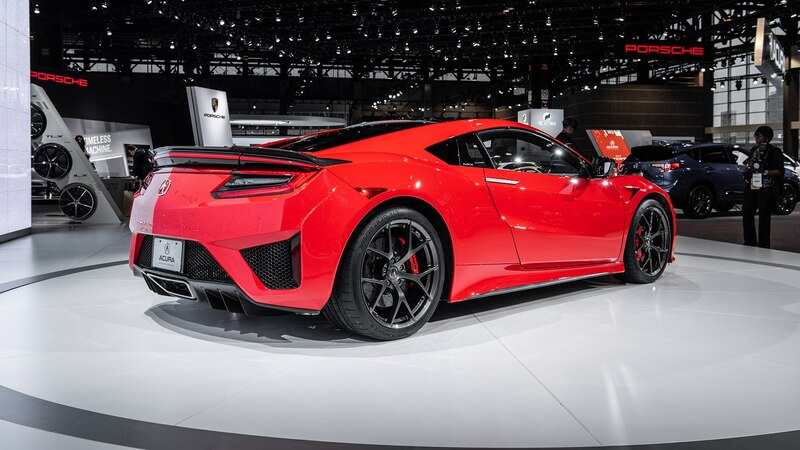 Now, three decades later, we finally have the second-generation supercar, which is hybridized and thoroughly modern. 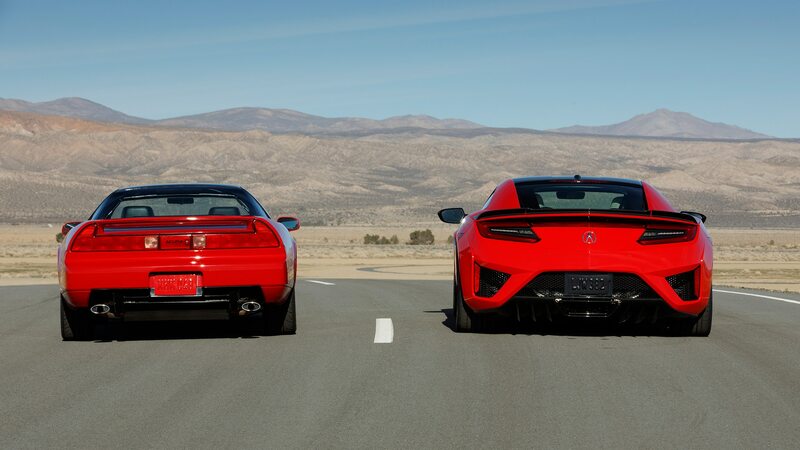 To celebrate, Acura released a large set of images with the first and current models side-by-side. 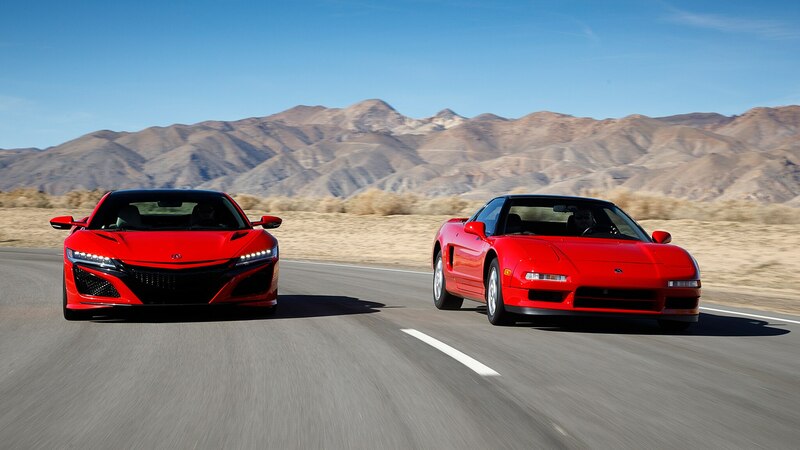 Let’s take a drive through NSX history. 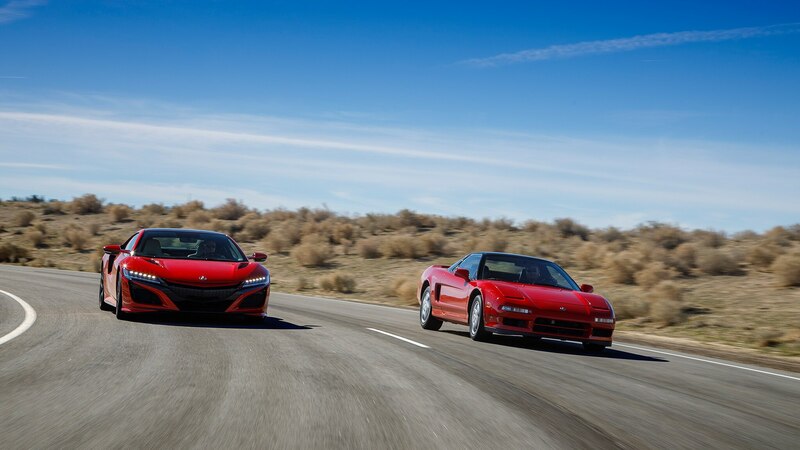 Well, not necessarily for the masses, but the NSX was built with the same egalitarian attitude as its day-to-day cars. 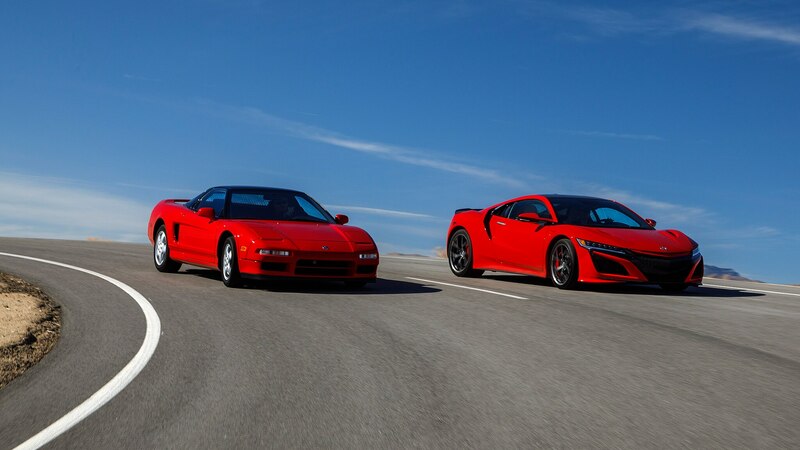 The production NSX famously squared off with the Ferrari 348, giving the temperamental Italian a literal run for its money with far better reliability, lower maintenance costs, and a lighter price tag. 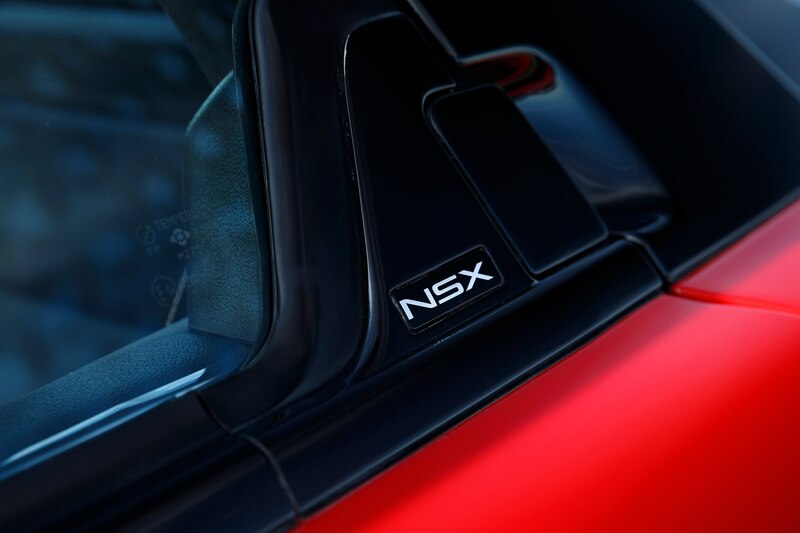 The same rings semi-true for the current NSX. 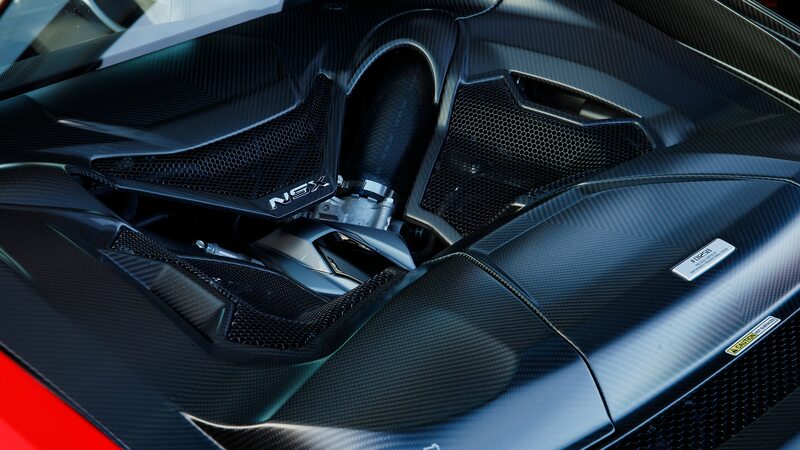 Until the new supercar came along, performance hybridization was reserved for seven-figure, limited-edition hypercars. 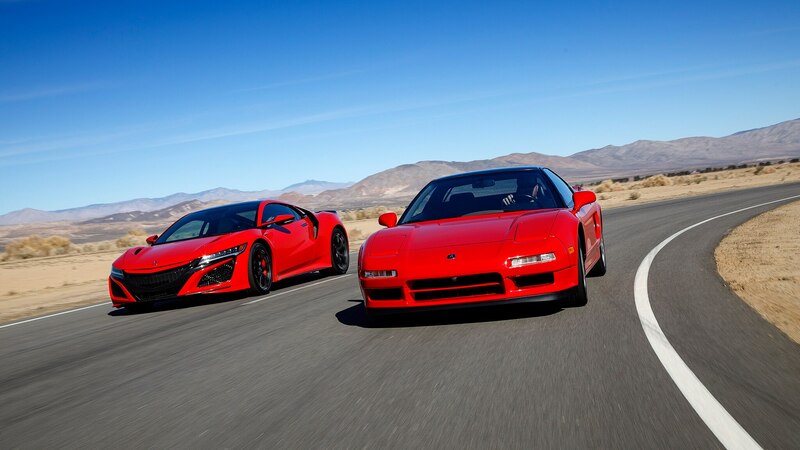 Part of the NSX’s solidity came from the DOHC 3.0-liter VTEC V-6. 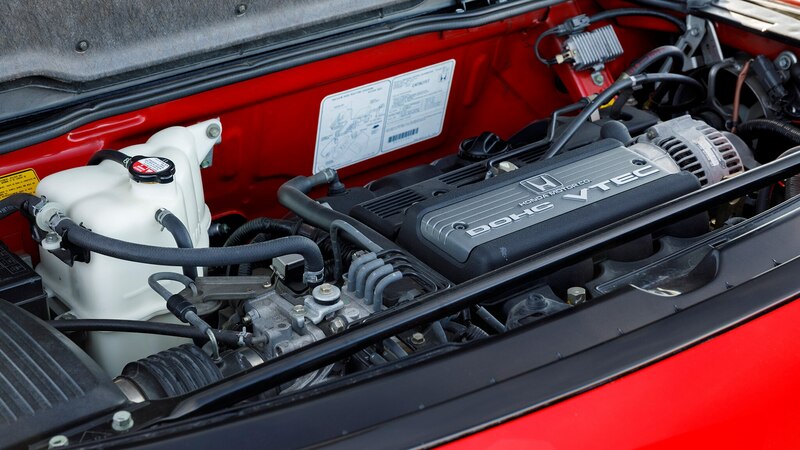 Originally slated to be a SOHC non-VTEC powerplant, then president of Honda Tadashi Kume pushed for the development of a VTEC six-cylinder powertrain. 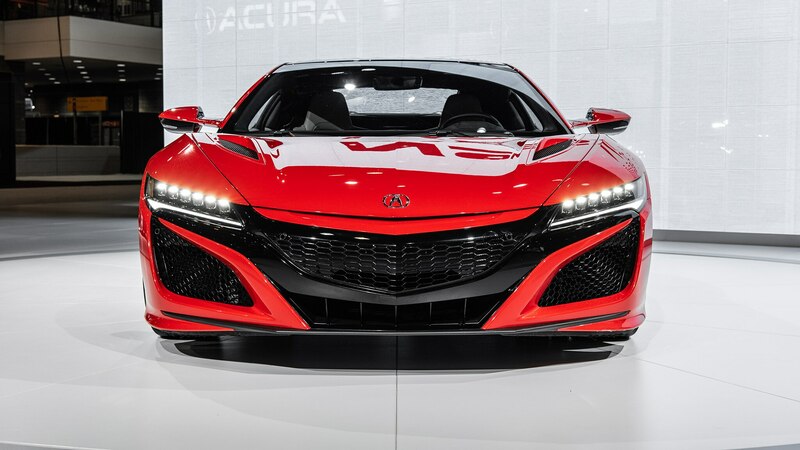 A VTEC V-6 still provides the basis for the current supercar—only now with the addition of twin turbochargers and the aforementioned hybrid system. 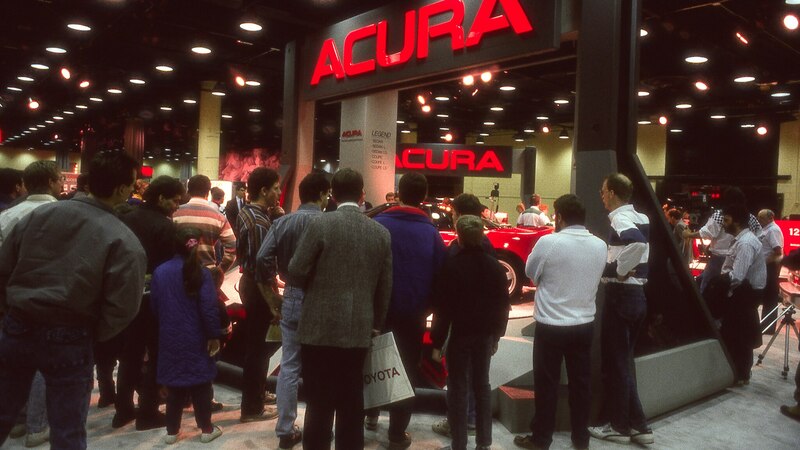 In February 1989, F1 legend Ayrton Senna joined Honda at Suzuka Ciruit to test the new F1 car. 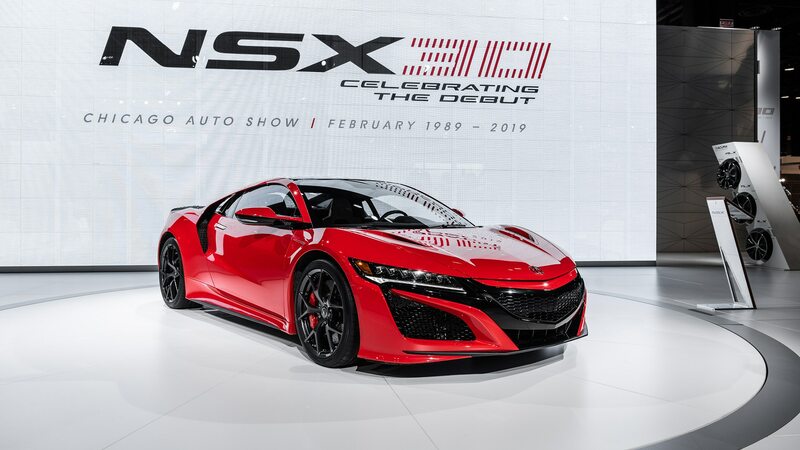 While there, he put the prototype NSX through a handful of shakedown laps, eventually requesting that Honda work to improve rigidity on its fledgling sports car before it hits production. 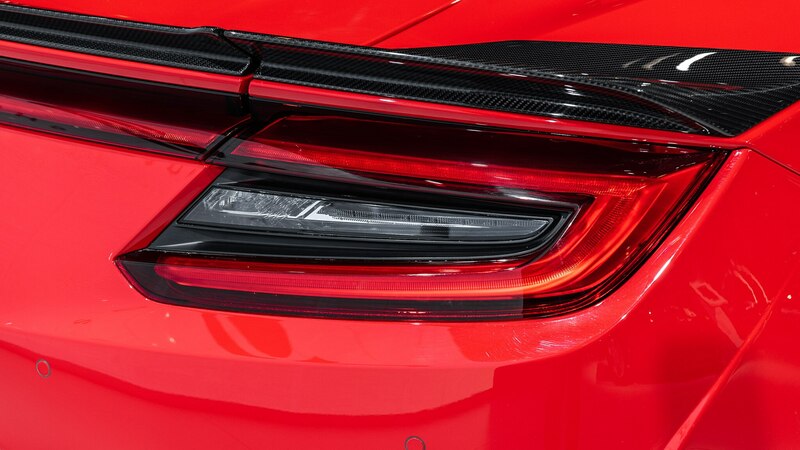 The car hit the Nürburgring for further testing, with the development team eventually increasing rigidity by 50 percent by the time the car was ready for sale. 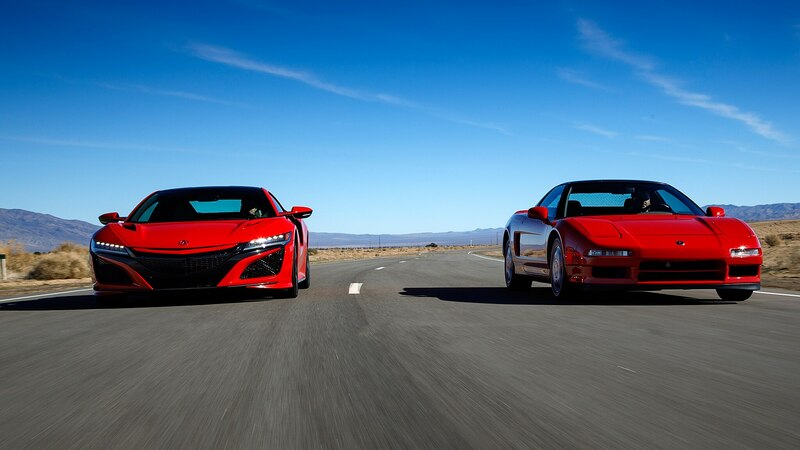 The current NSX gestated for quite a while. 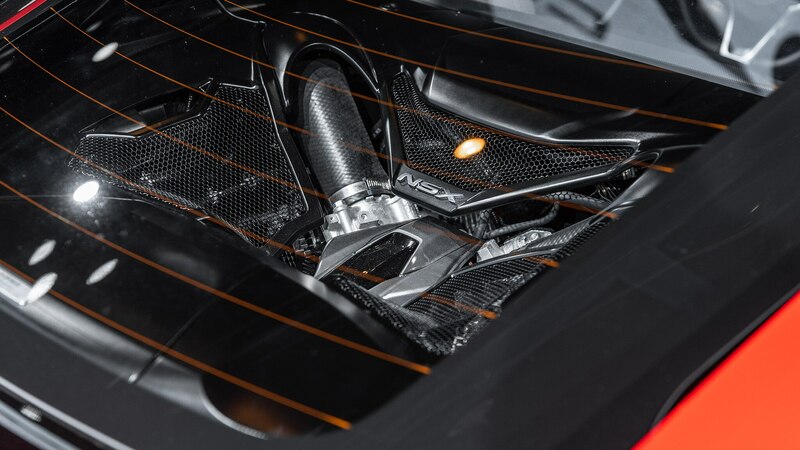 Originally announced for release in 2010 back in 2007, the project was scrapped in 2008 due in part to the financial crisis. 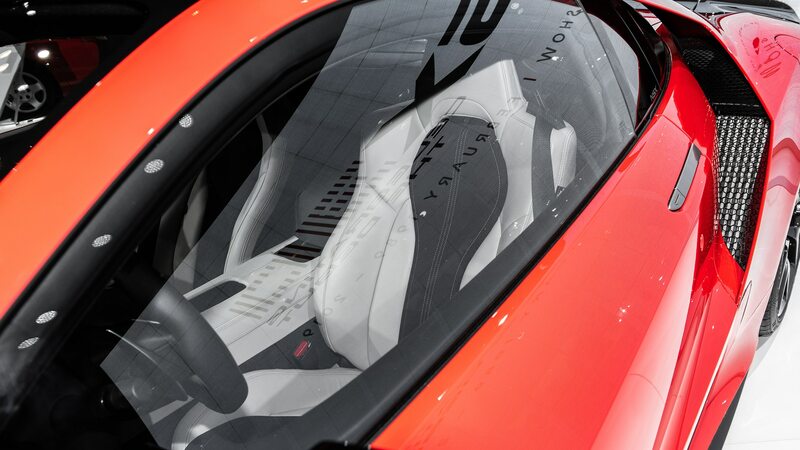 The project was revived in late 2011, with a concept landing at the 2012 Detroit auto show. 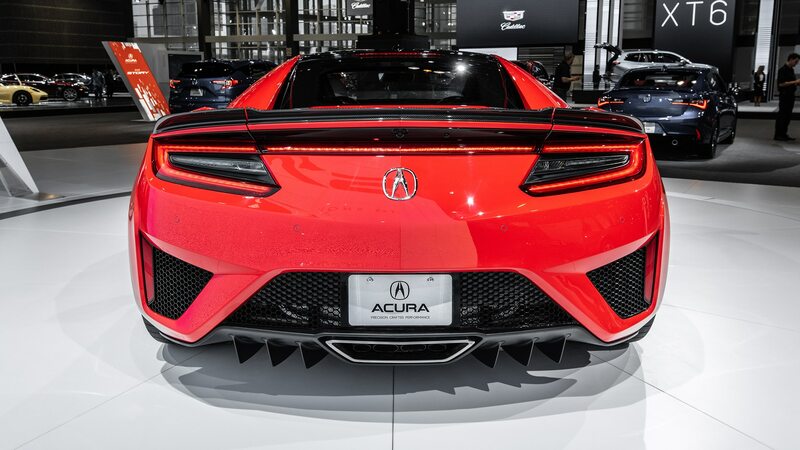 Three years later, the official production NSX bowed at the 2015 Detroit show, ready for the 2016 model year. 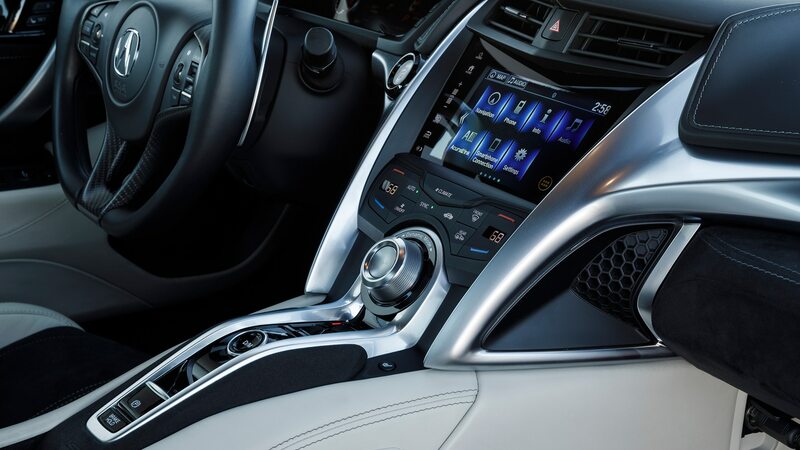 It was recently updated for 2019, too. 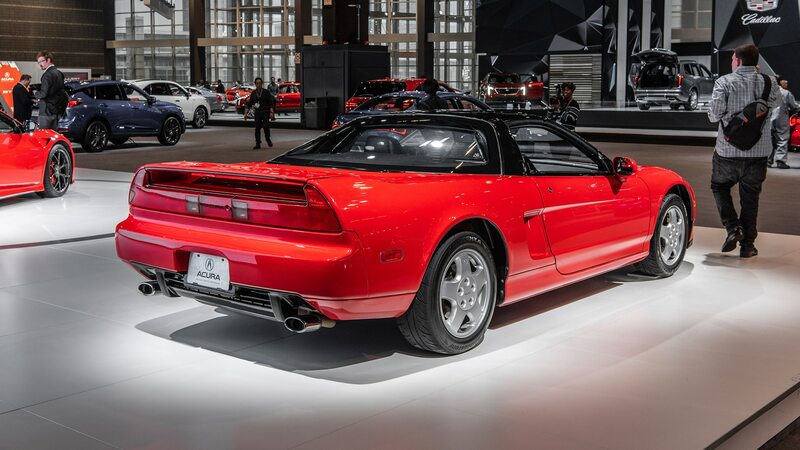 Each first-gen NSX is rear-wheel drive, with a choice of either a five-speed (eventually a six-speed) manual transmission or four-speed slushbox. 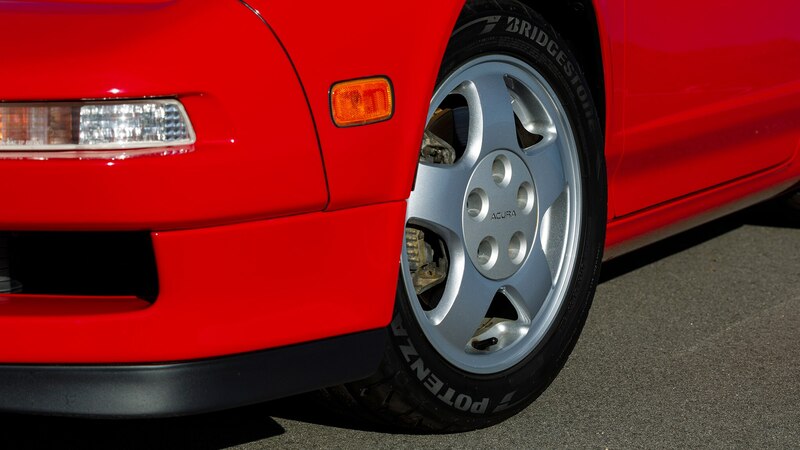 They were light, well-balanced, and nimble in an era of supercars that prioritized outright speed over dynamics. 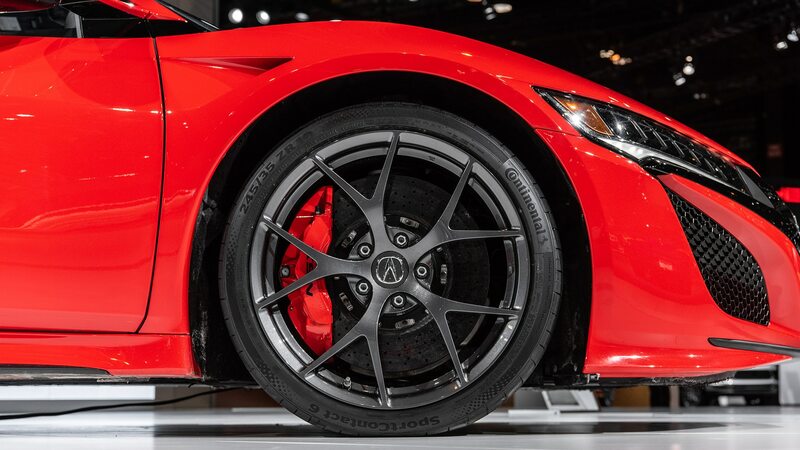 In keeping with the times, the current NSX comes only with a nine-speed dual-clutch transmission and all-wheel-drive for throat-crushing acceleration and cornering. 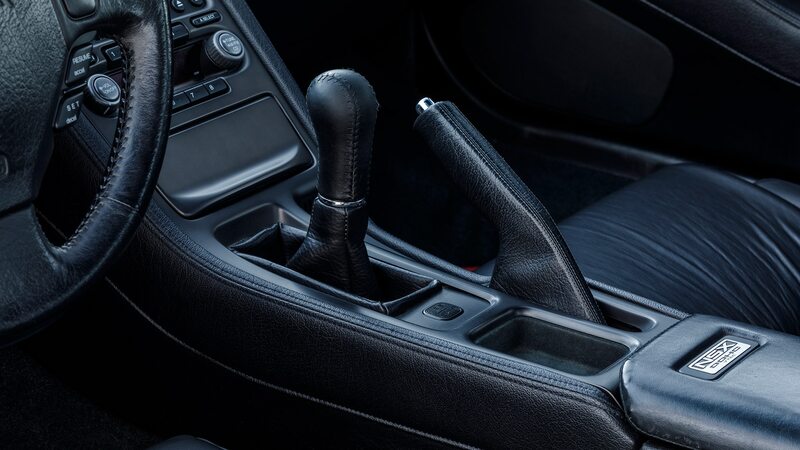 There’s no doubt a manual would be more fun, but you’re better off letting the car do most of the work if you’re in search of every tenth of a second. 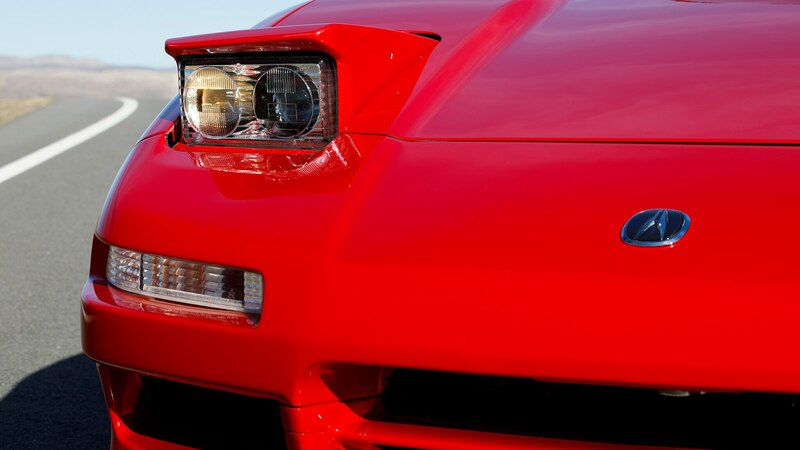 Contemporary supercars like the Ferrari 348 and, to a lesser extent, the Lamborghini Diablo were tedious to drive anywhere outside of wide-open spaces, often with tiresome heavy clutches, poor visibility, and awful ergonomics. 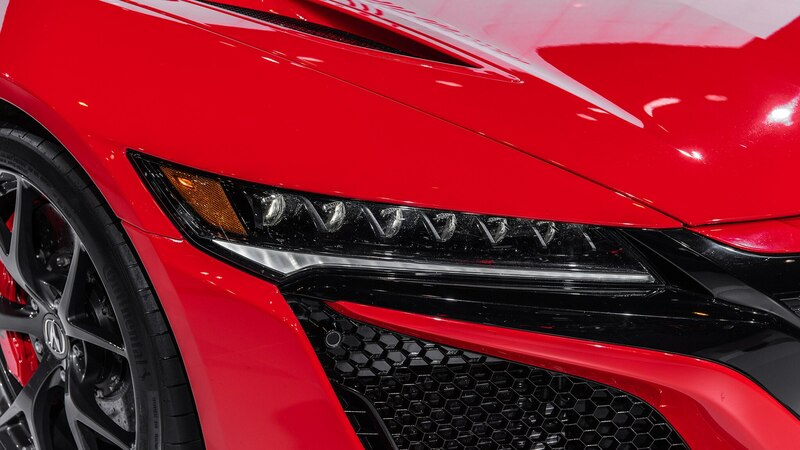 In keeping with Honda/Acura’s ethos, the NSX was the first mid-engined supercar you could reasonably drive every single day, rain or shine. 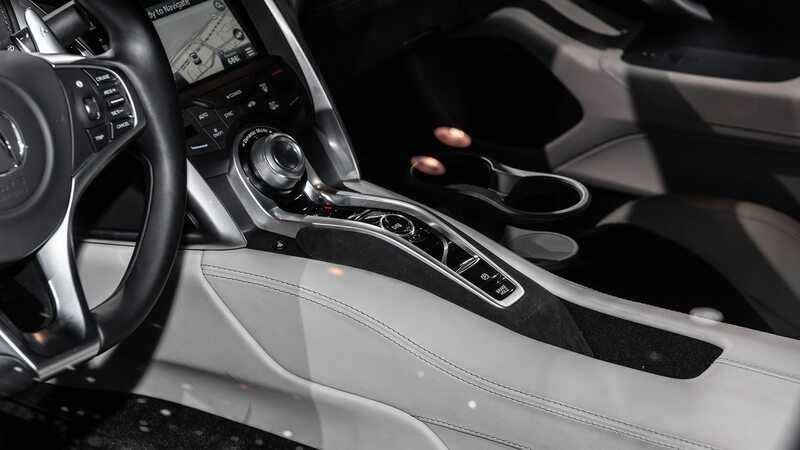 It was comfortable, reliable, and had an impeccable interior layout. 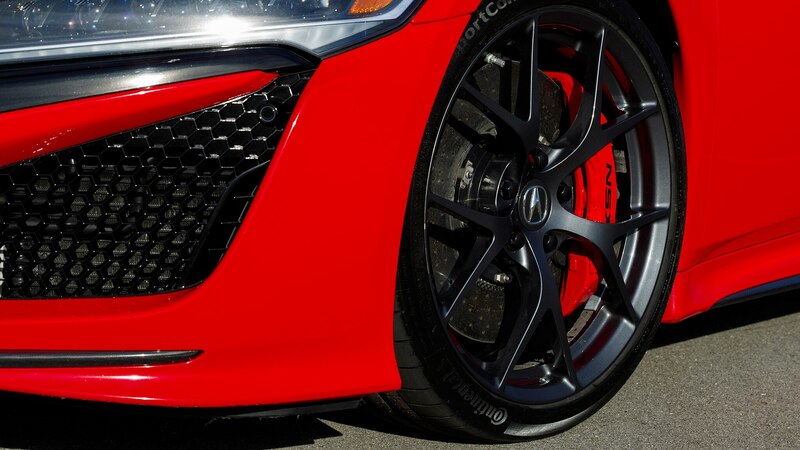 Much like its predecessor, the current NSX is every bit the day-to-day supercar. 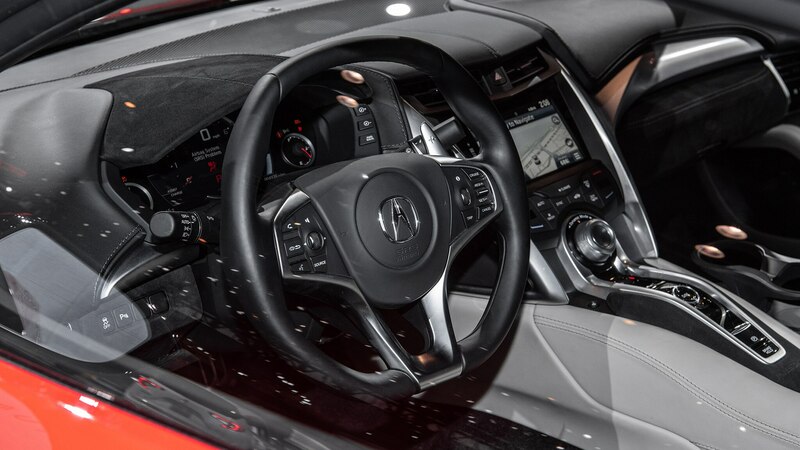 When not being throttled, the NSX is a semi-sedate cruiser with a relaxed powertrain, good visibility, comfortable interior, and relatively good fuel economy. 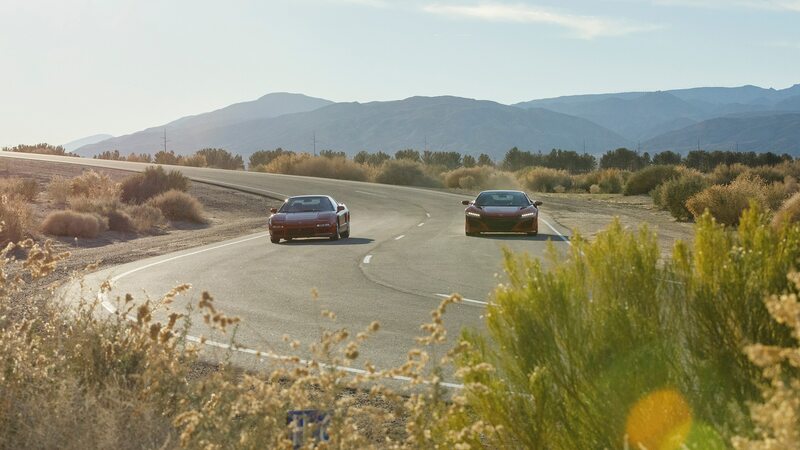 There’s even a “quiet” mode for not waking the neighbors on those early morning canyon runs, although we wonder why anyone would buy a supercar that’s ever quiet? 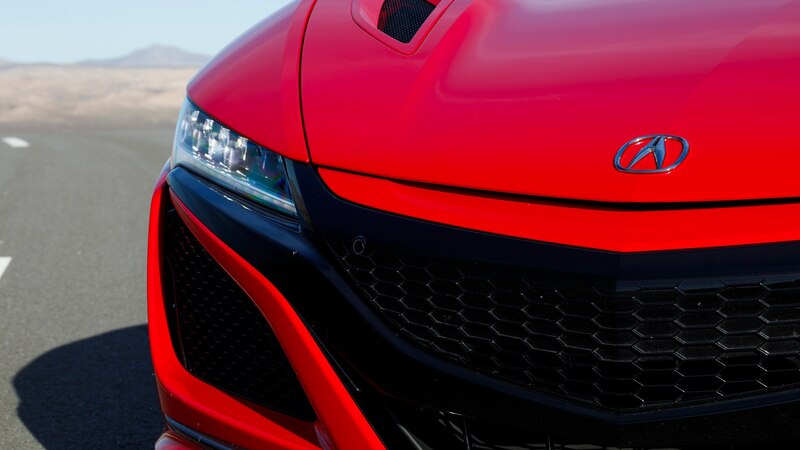 Still, that a new-generation model finally saw the light of day—as well as great stuff like the Civic Type R—is tangible evidence that plenty of enthusiasts still roam the halls at Honda.